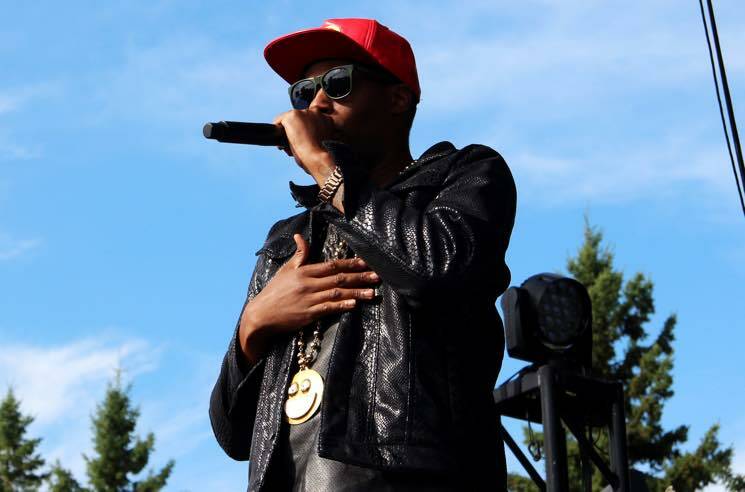 The arrival of cloud cover in the late afternoon caused Bissell Park to cool down a bit, but Kardinal Offishall only wanted to crank the heat up higher. A fixture of Canadian hip-hop for over 20 years, his experience proved crucial in commanding the crowd through an hour-long set, getting them to bounce, sing along and throw up their hands to his verse from Akon's "Beautiful," "Body Bounce" and "Everyday (Rudebwoy)." Flanked by a DJ and hypeman who was a little less tuneful when it came to sung parts, the love and appreciation for his "successful, inspired music lovers" in attendance wasn't lost. And though his stage banter relied on pitting sides of the audience against one another a little too heavily, Kardinal's energy rarely waned. The crowd hung with him, waving back and forth to "Numba 1 (Tide Is High)," pointing out their good-looking friends to "That Chick Right There" and jumping as high as they could to close the set with "Turn It Up." As much as he's stepped up to represent Toronto throughout his career, he didn't hesitate to take the entire country on his back. "Canada turns 150 next year," he reminded the audience. "We gonna do this all 365 days of it!"